Jatiya Oikya Front chief Dr Kamal Hossain joined a milad mahfil hosted by President Abdul Hamid at Bangabhaban on Wednesday on the occasion of Eid-e-Miladunnabi, the day of birth and demise of Prophet Hazrat Muhammad (pbuh). 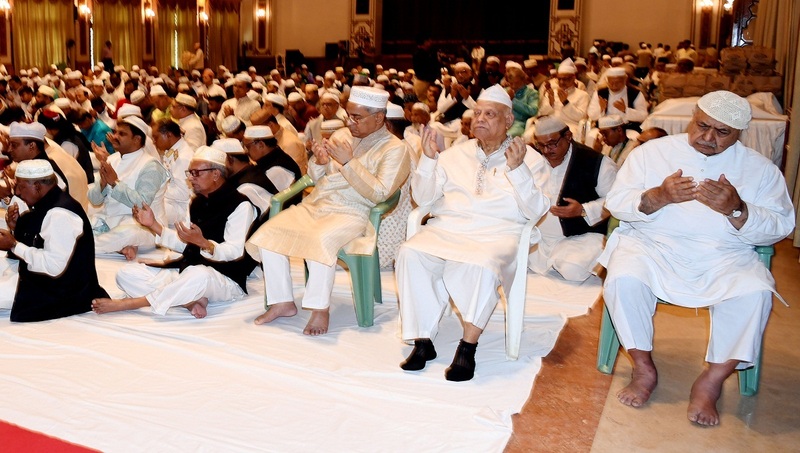 The milad mahfil was held at the Darbar Hall of the presidential palace after Zohr prayers. Dr Kamal also exchanged greetings with the President before leaving Bangabhaban. Chief Justice Syed Mahmud Hossain, Deputy Speaker Fazle Rabbi Miah, Finance Minister AMA Muhith, State Minister for Finance MA Mannan, Chief Election Commissioner (CEC) KM Nurul Huda, diplomats of different Muslim countries, Members of Parliament, political leaders, secretaries of different ministries and high civil and military officials also attended the milad. A special munajat was offered seeking divine blessings for peace and prosperity of the country, welfare of the people and greater unity of the Muslim Ummah. Pesh Imam of Bangabhaban Jam-e-Mosque Maulana Saiful Kabir conducted the munajat after the milad mahfil. On October 13, BNP together with Dr Kamal-led Gono Forum, ASM Abdur Rab-led Jatiya Samajtantrik Dal (JSD), Mahmudur Rahman Manna-led Nagorik Oikya and Kamal Hossain-led Oikya Prokriya formed the Jatiya Oikya Front, with the aim of pursuing same political goals, including ensuring a credible national election. Later, Abdul Kader Siddiqui-led Krishak Sramik Janata League also joined the alliance. All the components of the Jatiya Oikya Front are going to contest the 11th parliamentary elections with BNP’s election symbol, “Sheaf of Paddy”.